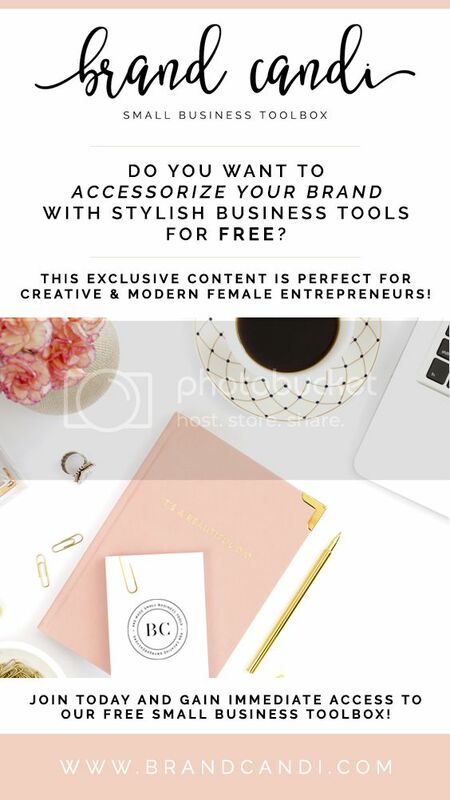 DO YOU Want to accessorize your brand with stylish business tools for FREE? We believe that being an entrepreneur is not just about client demands, deadlines and balancing a budget - it's about embracing your passion and actually spending time branding your business. We have added an amazing section to our website just for YOU. And we are happy to offer free resources that will help you accessorize, organize and build a brand that you can be proud of! The Brand Candi "free toolbox" not only offers the best business resources and tips, but also inspiration and accessories so that you can focus on how to make the most of the time and energy that you invest on your brand and business. Each month, new items will be added - just like the ones you see below. Our free content is perfect for lifestyle brands, photographers, boutique owners, event planners, beauty brands, salons, creative entrepreneurs and modern female entrepreneurs. ​We are eager for you to gain immediate access to these beautiful tools so that you can create a brand and business you love! And who doesn't love to accessorize?! As soon as you have signed up, you can begin to download any of the items available (or all of them!). Feel free to use these tools to accessorize your brand - we just ask that you do not give away our designs or claim them as your own! Make sure to keep in touch! We will be updating our toolbox often. We always welcome suggestions! If you have an idea or wish to collaborate with Brand Candi, please say hello. We would love to work with you, feature your business and include your very own designs in our free toolbox! Do you use Instagram? We would love to see how you are using your accessories. Post a photo on Instagram and use the hashtag #accessorizeyourbrand or tag us @brandcandi ! We will share it on our account - giving you the credit, of course - for extra exposure for your business. If you are interested in other pre-made tools, please visit our shop. We also offer custom design services and would love to work with you!